Every suicide is a tragedy. There are few things worse than a person – of whatever age, gender, ethnicity or sexuality - believing there is no hope or help available, and no course of action other than taking their own life. It is a complete and utter waste of a life, opportunity and potential. After many years of decline, suicides rates in England have risen since the financial crisis in 2008. The most recent ONS report recorded 5,981 suicides in people aged 15 and over in 2012. Within these figures are stark inequalities. In 2012, the suicide rate was highest in the North West and lowest in London. 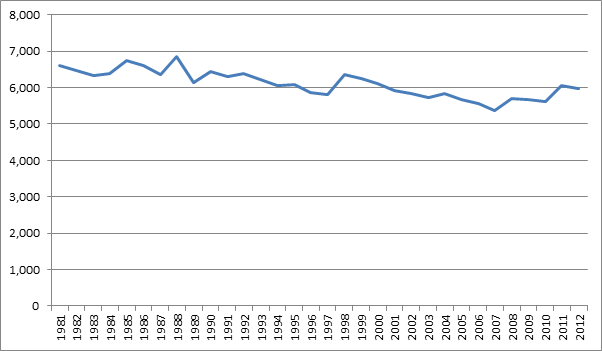 4,590 were males and 1,391 were females – a gap that has existed, and indeed increased, since 1981. Suicide is now the biggest single cause of death of young men aged 20-44 in England and Wales. Rates of suicide seem more likely to rise during times of economic difficulty – as recession bites, jobs, wages and money become significant issues for a large number of people, families and communities. These issues can seriously damage mental health and wellbeing. The challenge is therefore two fold – to deal with the social determinants that adversely affect and influence our mental health, while at the same time finding ways of responding to, reaching out and supporting those who are struggling and who are feeling that life is no longer worth living any more. The importance of preventing suicide is recognised at the highest levels of government and in 2012 a cross-governmental strategy was launched to unify efforts. The strategy is supported by the National Suicide Prevention Alliance – a collection of national, local, and community organisations that answered the call to action that fewer lives should be lost to suicide. It is important that so many vital and experienced organisations come together to collaborate and take collective action. Public Health England also has a major role to play, alongside Government, NHS England and the Alliance and other partners. Our belief and starting point is that suicide is not inevitable, and we can play our part in supporting the public health system to make a substantial contribution to saving lives. The recently published Guidance for developing a local suicide prevention action plan represents the first of our public issued guidance. A Report by the All Party Parliamentary Group on Suicide and Self-Harm Prevention identifies the importance of local suicide prevention action plans and our document shows how national and local bodies can work together towards local best practice. Our nationwide overview identifies at risk groups – for example young men or members of the LGBT community – and areas of concern, while local authorities, with their expert local knowledge and understanding of their communities, can translate this to their areas to help make a real difference in preventing suicides locally. The guidance also identifies existing examples of local good practices – particularly where localities have undertaken an audit of suicides and formed collaborative groups to respond. Our work with local authorities will continue with our soon to be published guidance on responding to multiple suicides concentrated around social groups or locations. These documents will help identify areas or groups of concern, and recommend measures that can help interrupt and prevent processes that can lead a person to suicide. The latter document is especially important. Restricting access to the means of suicide is vital: it buys time and gives individuals a chance to reconsider, as well as increasing the chances of help reaching them. There is also plenty of work to do to support people impacted by suicide. Suicide shakes families, friends, colleagues and communities. It is essential that those bereaved receive timely support and assistance. For many years the Help is at Hand guidance has been a trusted source of practical advice for the bereaved and I’m pleased that PHE is now leading a multi-partner effort to ensure that this work is updated and continues to help at a time when most needed. I’ve outlined what a variety of organisations are doing, but how can we help as individuals? There are many complex factors that lead to someone taking their own life – but we know that mental health plays a critical part, often compounded by distress and additional stress and pressure. What can we do to support and promote good mental health? 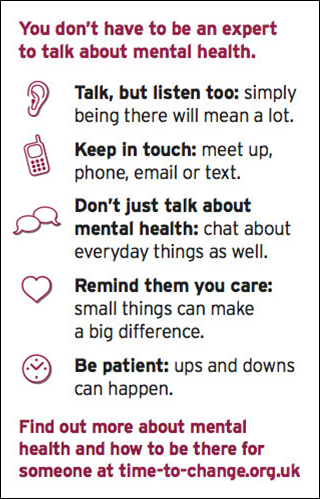 As the insightful Time to Change campaign notes, just making time to talk can make a real difference to someone’s mental health. 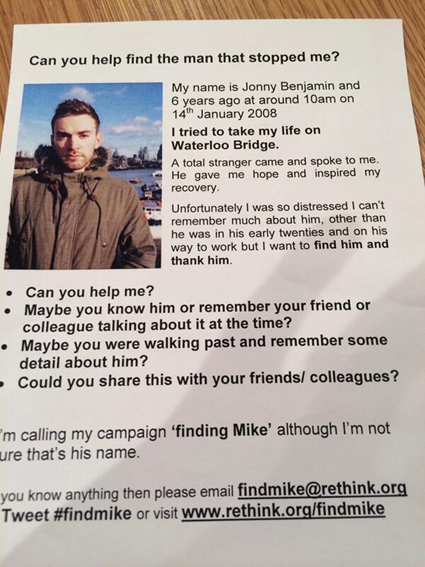 Earlier this year the #findmike campaign gave us an incredible example of how ‘just listening’ makes a real difference. In 2008 Jonny Benjamin was poised to take his own life when a total stranger came up and spoke to him, which stopped him. Jonny and Rethink Mental Illness launched a social media campaign to find the stranger. The man, who turned out to be named Neil, was successfully found and talking about the experience he told the Metro: “‘I didn’t feel it was that big a deal, I did what anyone would do. I wasn’t trying to fix his problems that day, I just listened”. 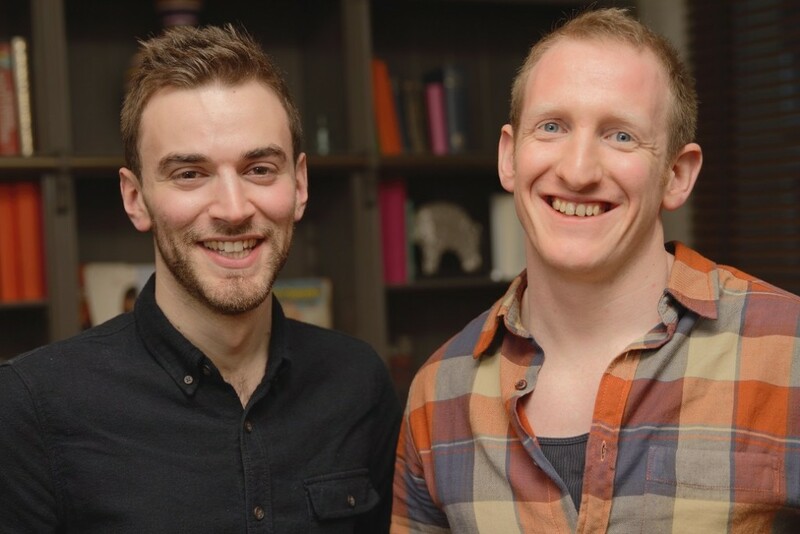 ‘Just listening’ means Jonny now works as an ambassador for Rethink Mental Illness and a film about his search for Neil is due for release next year (Jonny and Neil are pictured above). On a more formal level, Mental Health First Aid provide valuable training on how to identify, understand and help a person who may be developing a mental health problem. It follows the same principles as learning about first aid – a wonderful example of parity of esteem in action. I want to leave you with the knowledge that there is significant activity in this area. Of course there is always more to be done but with everyone playing a role, together we can make a real success of reducing suicide rates in England and see more people like Jonny staying alive and fulfilling their potential. Thanks for the very informative and important blog. It is really important we look at all areas, and I particularly liked the inclusion of the individual. As part of the whole involvement, it is important to recognise the local, community and individual asset that is a part of the support for the person who I(and not forgetting any family and friends) in a truly difficult place.